Ashlyn was recently gifted a large amount of scrap fabric from a kind lady we met at church. As we pondered ways to make use of it, I turned to Pinterest for some inspiration. This led us down a delightful decorating rabbit hole. 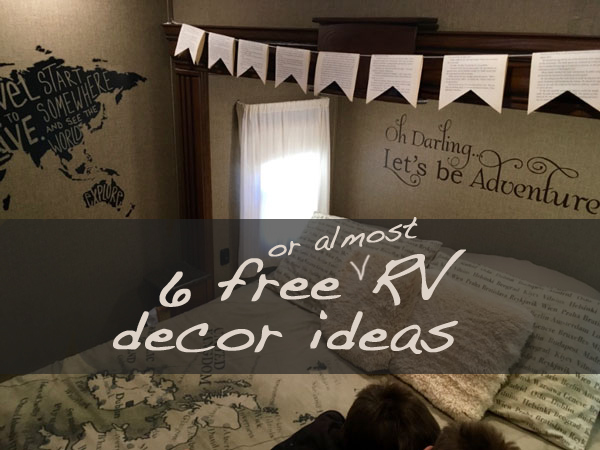 Come along and I’ll show you 6 free (or almost) RV decor ideas that we discovered! I’ve considered redoing the dark brown curtains in our main living area multiple times. I even went so far as to purchase fabric from IKEA last winter for this purpose. However, upon making the first panel, I discovered that the color scheme just wasn’t quite right and I abandoned the effort. 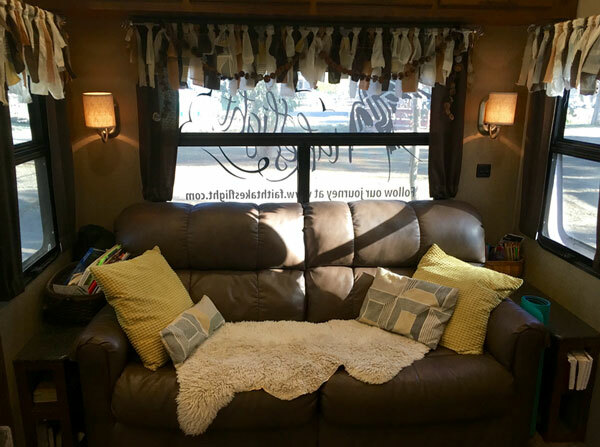 It all worked out however because I’d kept that not-quite-right fabric and was able to repurpose it into no-sew fabric strip curtain valances by intermingling some of the fabric we had been given. The end result was perfect. It brightened up the room, required no sewing and was very cost effective! If you want more details on how to create these valances yourself, here are the instructions I followed.